Find below the list of top CISCE / ICSE schools in Panchgani with phone number, address, 360° School tours, 2018-19 Admission forms & Fees, photos, facilities & more. Founded in 1990 under the direction and able guidance of Mr. Maurice W. Innis (M.A. M.Ed. Ex Principal St. Peters School Panchgani 1981 - 2000) and Mrs. Emilia Innis. 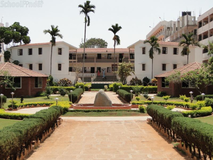 The school premises consists of more than two acres. Set amidst the hills of the Western Ghats on the outskirts of the small hill station of Panchgani, the school has ample provision for sports and recreation.Codesh School maintains a reputation for high academic standards, personal care and attention in the development of the talents and the personality of each student.This provides a strong foundation for the primary and secondary stage in educational, more so because of there not being more than ten to twelve students per class.The school is managed by the 'Panchgani Educational Foundation' a registered trust, in collaboration with The Rewachand Bhojwani Foundation, Pune.A well qualified staff meets the academic and boarding needs of the students. St. Peter? School, Panchgani (formerly known as the European Boys?School) was founded in 1904. The school campus covers an area of approximately 58 acres with enough playing fields and ample provision for sports in all its branches. It is essentially a boarding school, but a few day scholars are also admitted.The school runs on public school lines. It gives a liberal education that involves a sound, all-round training for the children. 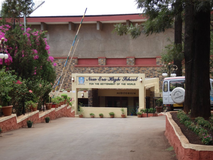 Kimmins High School is located in Panchgani, Panchgani. It was established in 1898. This school follows the ICSE board. The school has English medium. Shalom International School is located in Panchgani, Panchgani. follows the State ,ICSE board. The school has English medium. 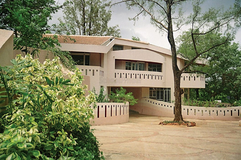 Pinewoods International High School & Junior College is located in Panchgani, Panchgani. follows the State ,ICSE board. The school has English medium. 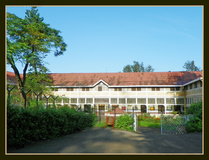 You may also be interested in other schools of Panchgani. 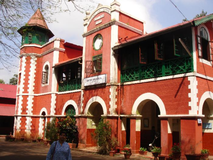 Founded in 1908 by the Billimoria family, this school was a boys school then and in 1995, when there was a change in the school management this school was made into co-educational. This was possible, when the current management was established. This management, under the leadership of Mr. Arun Goradia, took its first step towards improvement, by making our school, a coeducational. Aditi Education Society's Billimoria High School was opened up to all of our world's students, including NRI's. Under the love and care of the school's matriarch,Mrs. Divya Goradia and her enthusiastic team of teachers and staff, our students have flourished to become out standing world citizens. With a fun and loving environment, learning never ends at Aditi Education Society's Billimoria High School. New Era High School today majestically stands out as an educational institution of repute, earning recognition as one of the leading residential schools in India, distinguished for its holistic approach to education. Inspired by the universal tenets of the Baha? Faith, New Era incorporates the best practices that promote a dynamic process of teaching-learning and cultivates a culture that empowers its student community to strive for academic and moral excellence. It welcomes the multi-cultural diversity of its student and teaching community that reflects and nurtures the organization? fundamental belief in the oneness of humanity. A wide spectrum of educational and social activity and artistic endeavors enhance intellectual capabilities and awaken in its students and staff the spirit of service to humanity. 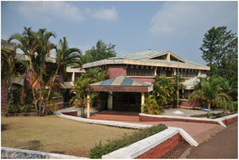 Panchgani International School is located in Panchgani, Panchgani. follows the State board. The school has English medium. 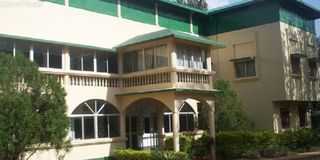 Bharati Vidyapeeth God's Valley International School is located in Panchgani, Panchgani. It was established in 1988. This school follows the CBSE board. The school has English medium. Read the best picks from our blogs. The one question that gets asked at start of every school hunt! So we break it down here for all you parents. Leaving certificate - check. New school admission forms - check. Fees - check. Transport feasibility - check. But is your child ready? You send your child to school so that he would acquire the education that will help him prepare for life ahead. Imagine if the exact opposite was happening? While Indian engineers, doctors and scientists continue to draw admiration from across the world, multiple studies of Indian K-12 education system have thrown up surprising results. Panchgani being a small hill station located in the southeast of Mumbai proved to be a leading hub of best schools offering excellent education and other facilities to the students. If you check the List of schools in Panchgani you will find that it has some of the best boarding schools included in the list. The top schools in Panchgani are mostly following the CBSE pattern syllabus in addition to conducting other extracurricular activities for overall development of the students. Choosing the right school for your child is a process which requires plenty of analysis. Just knowing the names of the top CISCE / ICSE schools in Panchgani is not enough. You need to know about the location, fees, admission procedure and other details. That is why Sqoolz brings you a definitive list of best CISCE / ICSE schools in Panchgani. With our brilliant virtual tour feature you can get to know visually about all the schools before entrusting your children with them.